Parker and I have a little tradition in our home. It's called "Navy Bear". When we were dating, Parker bought me a little teddy bear dressed in a sailor uniform. I don't quite remember who or how this was decided, but when one of us had a cool trip ahead that the other couldn't join, we would take Navy Bear. Since I am the cheeseball out of the two of us, I am willing to bet this was my idea. Navy Bear went to Greece with me and Morocco, Egypt, and Hawaii with Parker. 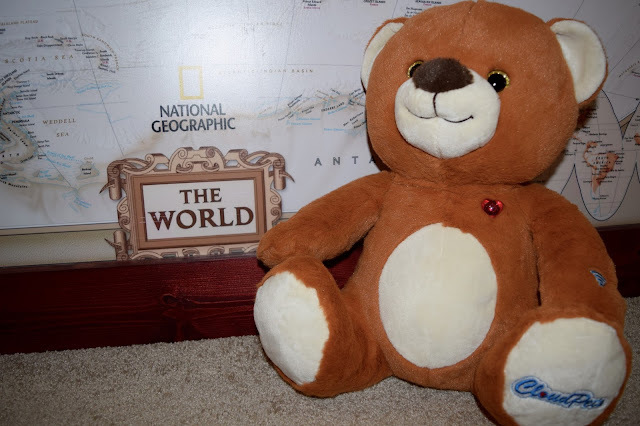 He is quite the well traveled stuffed animal! 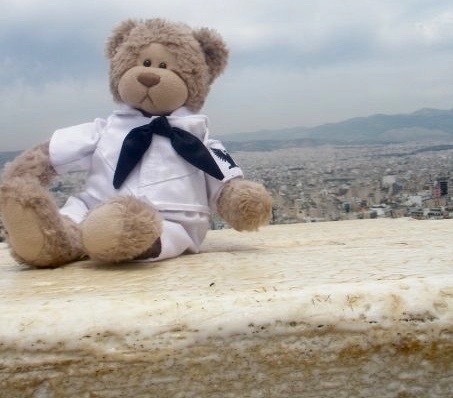 Here's a picture of Navy Bear visiting the Parthenon. Side note: our little friend almost got confiscated that day by the local guards. Apparently, no stuffed animals were allowed in the Parthenon. True story. 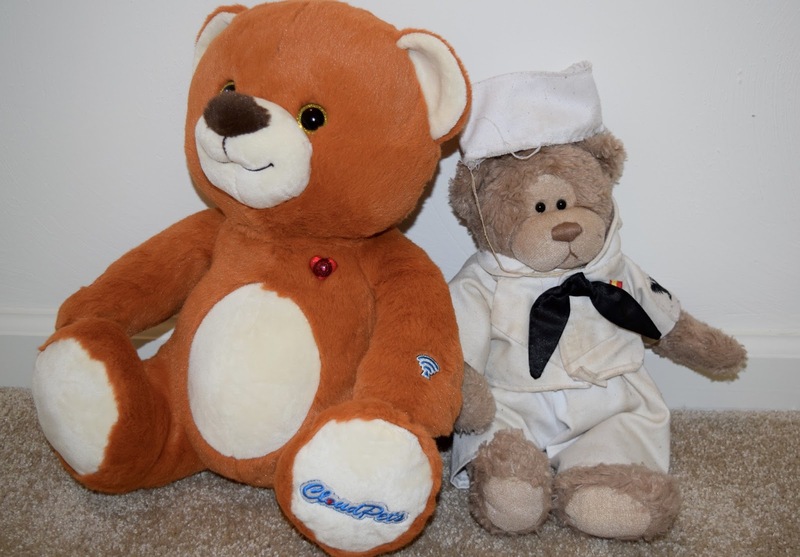 Navy Bear is a little old and worn down by now, so it was time for a Navy Bear version 2.0. 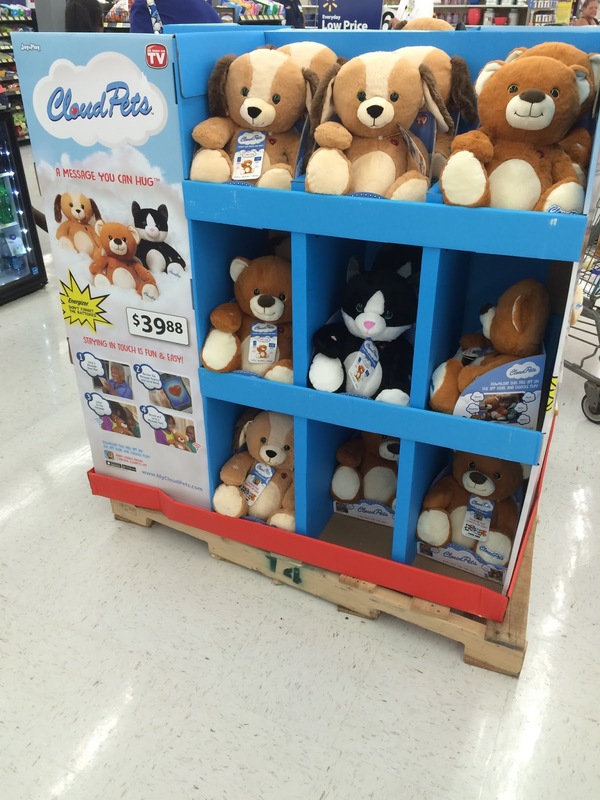 I discovered CloudPets™ at Walmart and realized a CloudPet™ would make the perfect new Navy Bear. This is a new, one-of-a-kind product that keeps loved ones connected when they are far away. 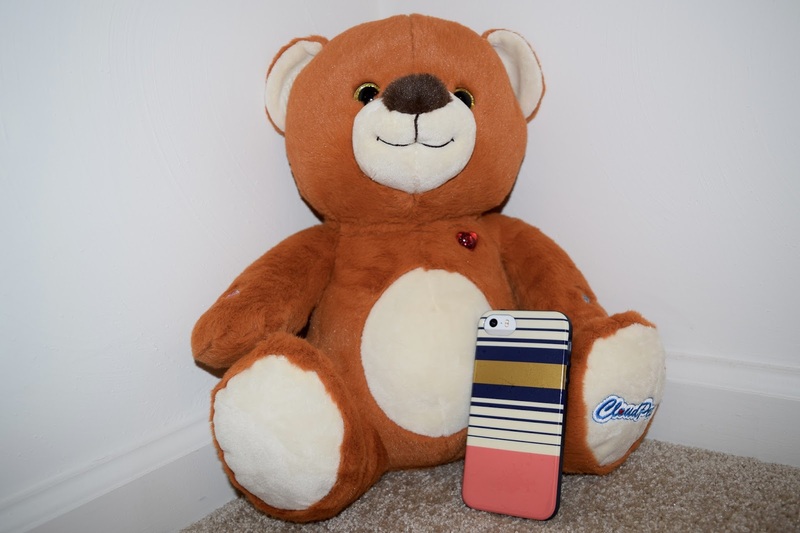 You download the free app to your phone, insert 3 AA batteries, and you can send messages from your phone to the bear. So, when Parker is gone, he can send messages from his phone that will play through the bear. Or, if he takes the bear, I can send messages to him. How cool is that?! Sometimes, technology just blows my mind. We are calling this 21st century Navy Bear. With deployment creeping closer and closer on us, things like this will help make the separation just a little bit easier. Let's face it: when your husband is gone, just hearing his voice is a gift. Parker and I always talk about traveling the world together. We love experiencing new places and cultures. As exciting as deployment will be for the experience aspect, it stinks that we can't do it all together. I'd love to see all of the neat places Parker gets to travel to, but since that's not in the cards, I'll be waiting on the home front for a full report. We started our world map when we got married and add new stickers for everywhere we have visited. It's a fun conversation piece when people come over and fun to dream up where we might go next. It's a big world out there, and I am excited to continue our Navy Bear tradition with version 2.0. Do you have any fun traditions for separation or deployment? I'd love to hear them! Awwww... What an adorable idea!!! You two are so cute! 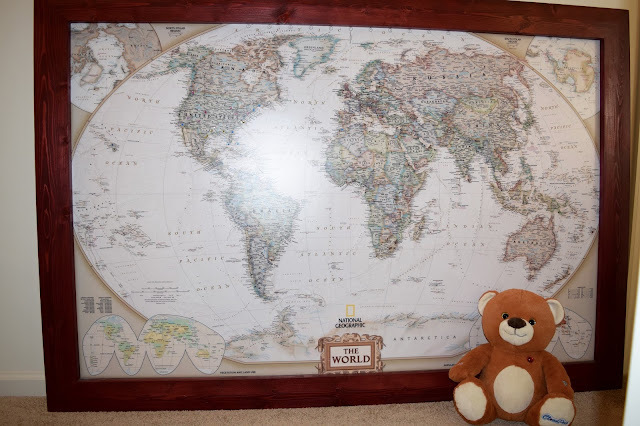 First, the idea of taking the bear on your travels without the other is adorable. I love it. Also, Cloud Pets. What?! I have not heard of these, but what a genius idea!!! I think these are perfect, ESPECIALLY for military families. I'll definitely be looking into these.